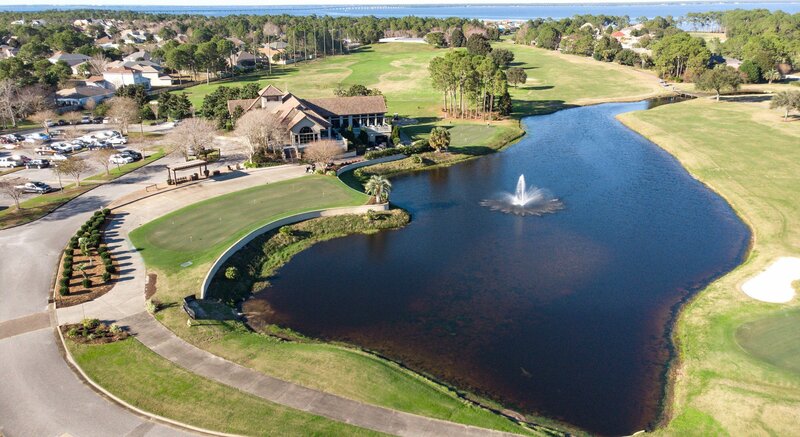 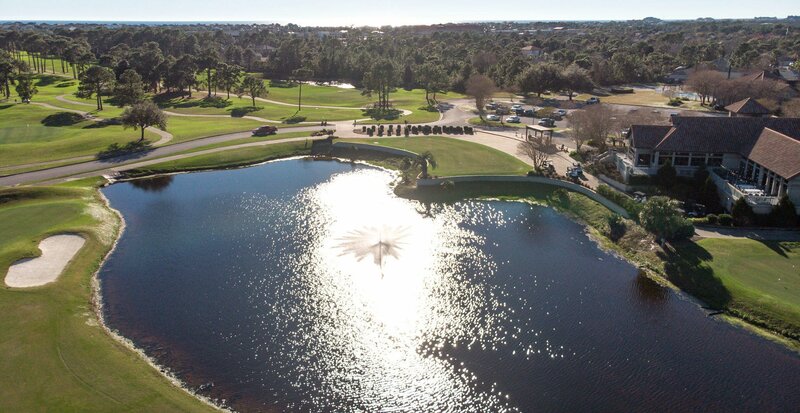 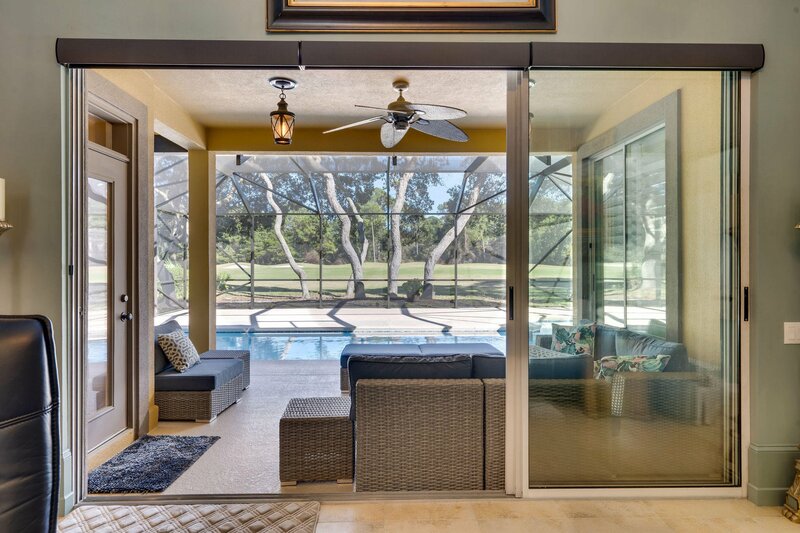 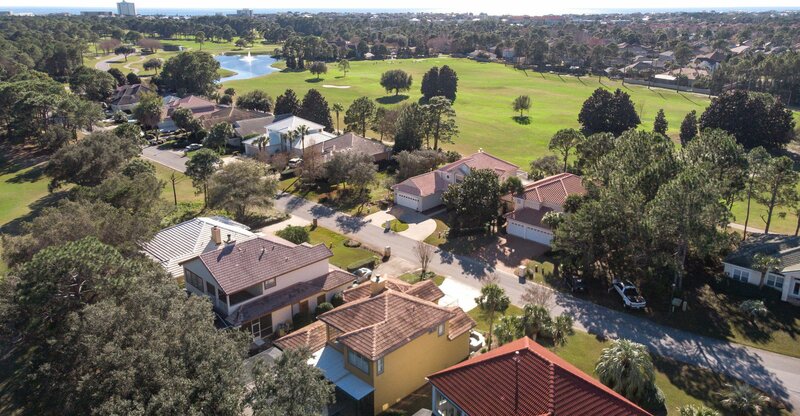 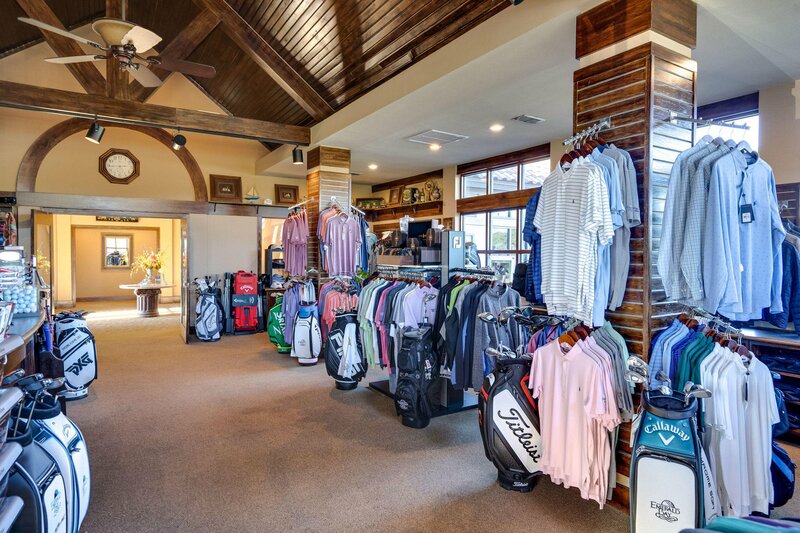 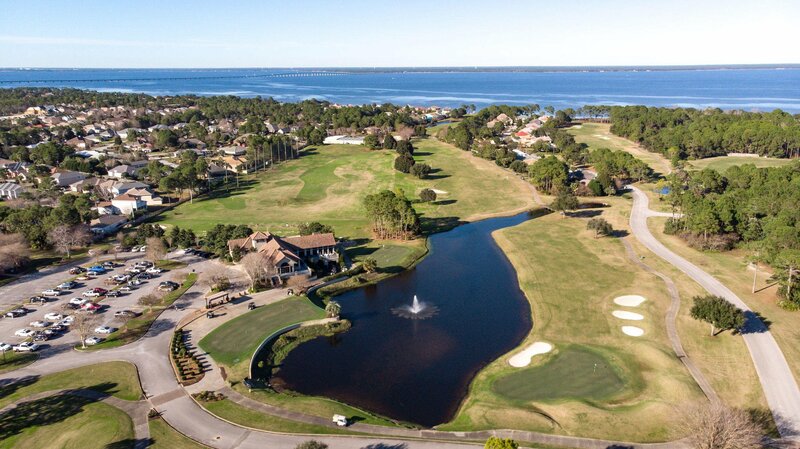 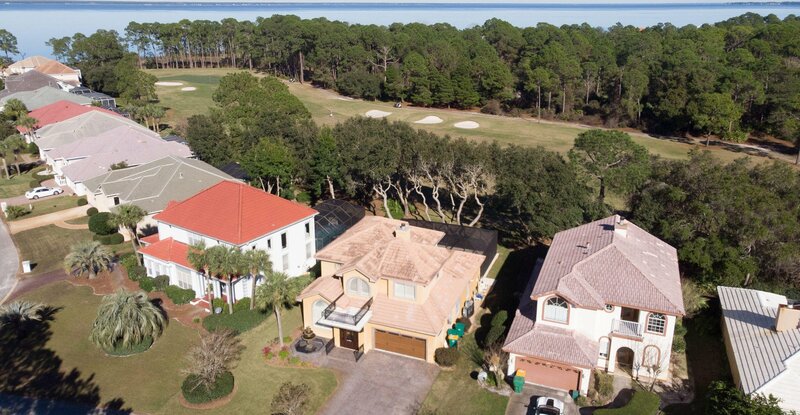 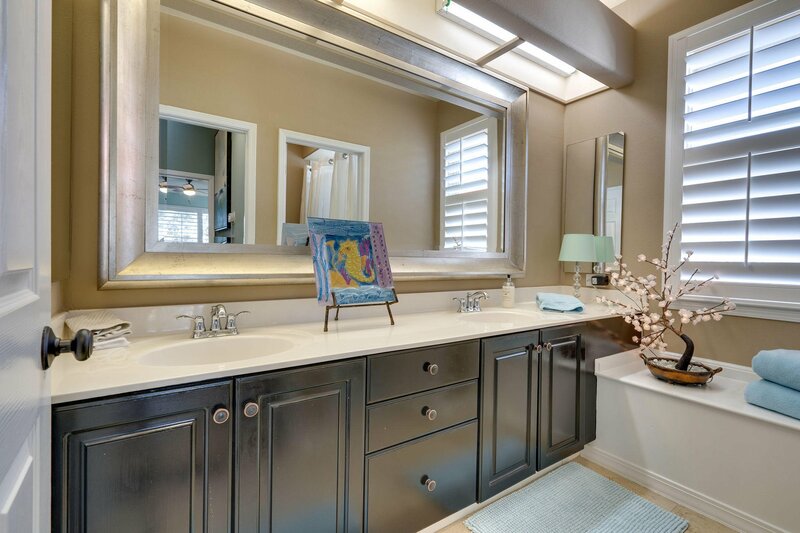 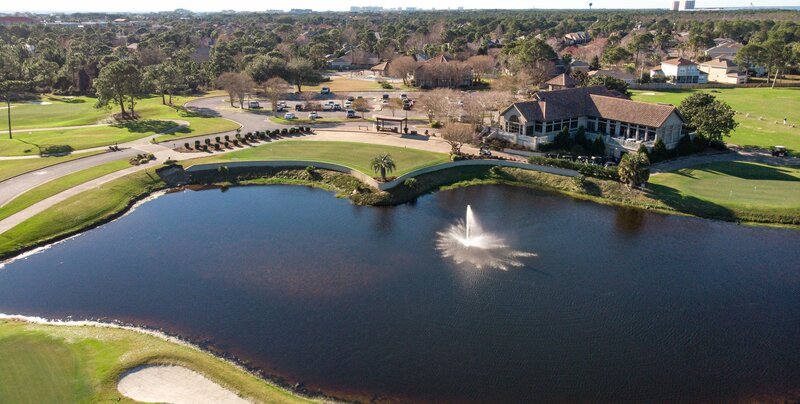 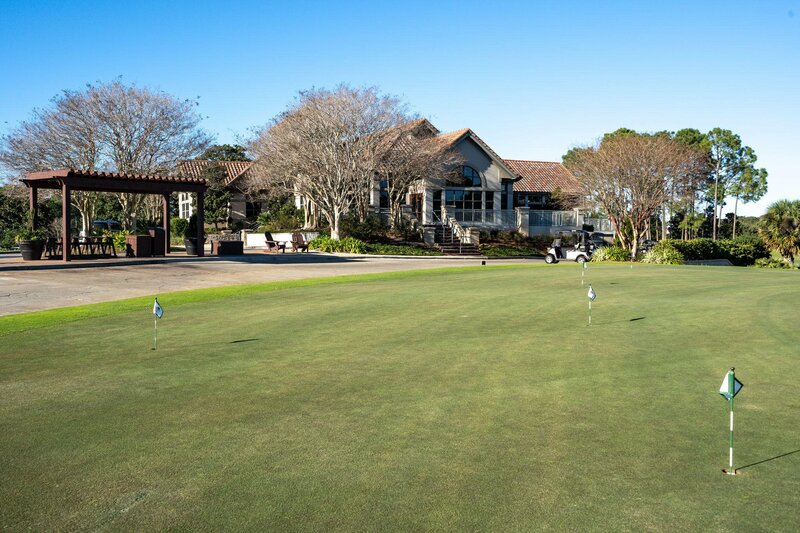 Located on the signature 15th hole of the Bob Cupp Designed Emerald Bay Golf Course, this contemporary home is beautifully landscaped including a garden fountain, palm trees, and live oaks. 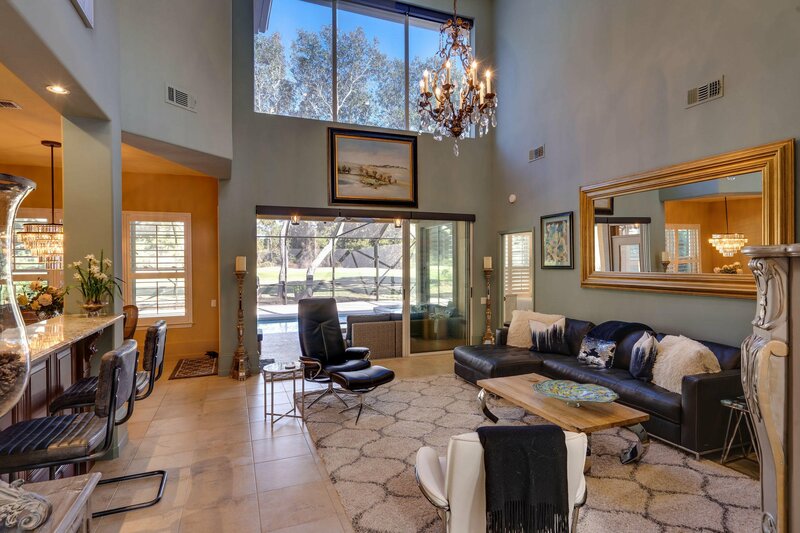 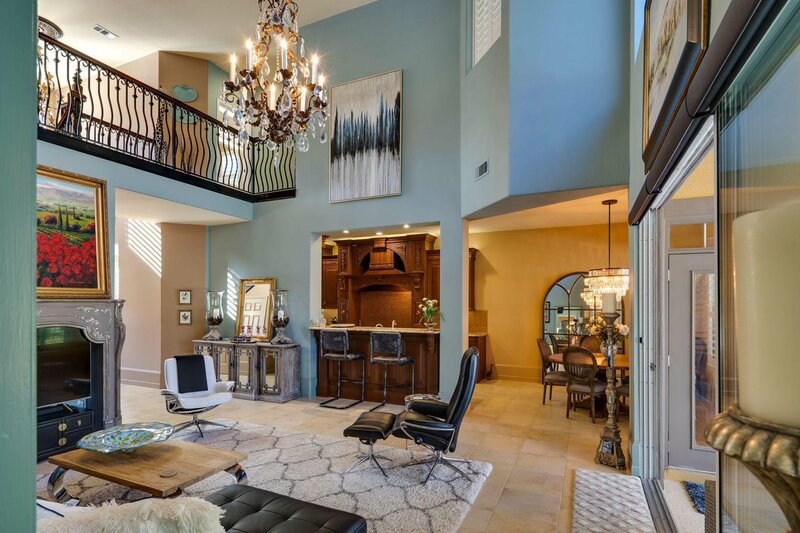 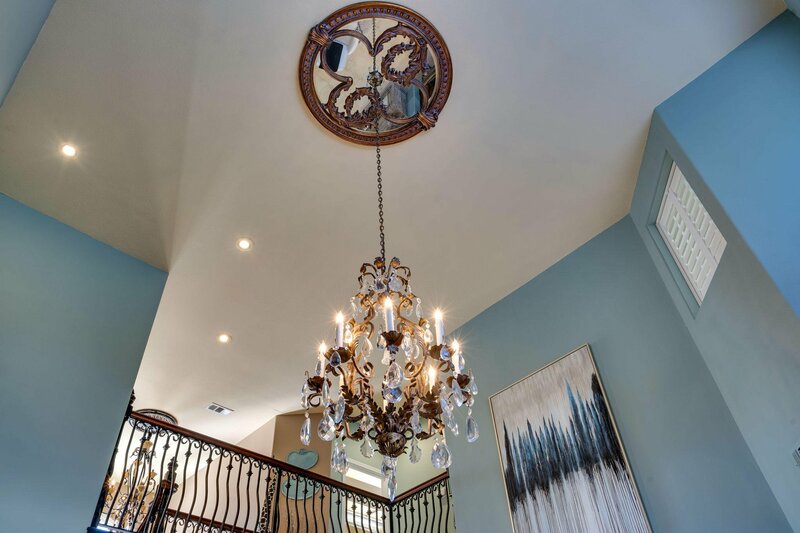 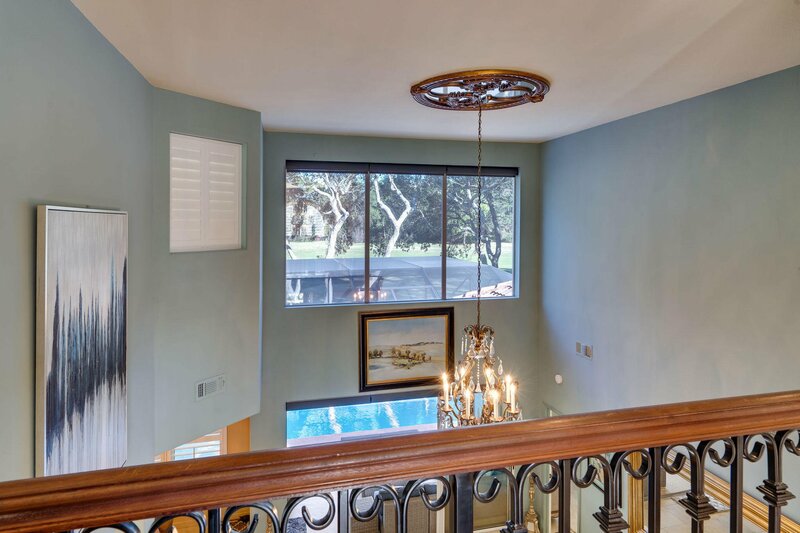 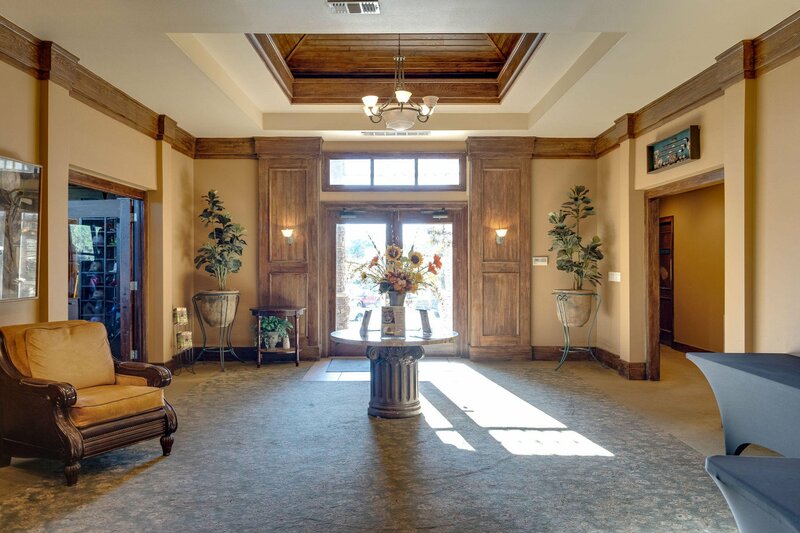 Through the solid mahogany front door with beveled glass, your eye moves past the richly appointed home office into the main living room with 20 FT ceiling overlooking the the sparkling pool with jacuzzi waterfall feature. 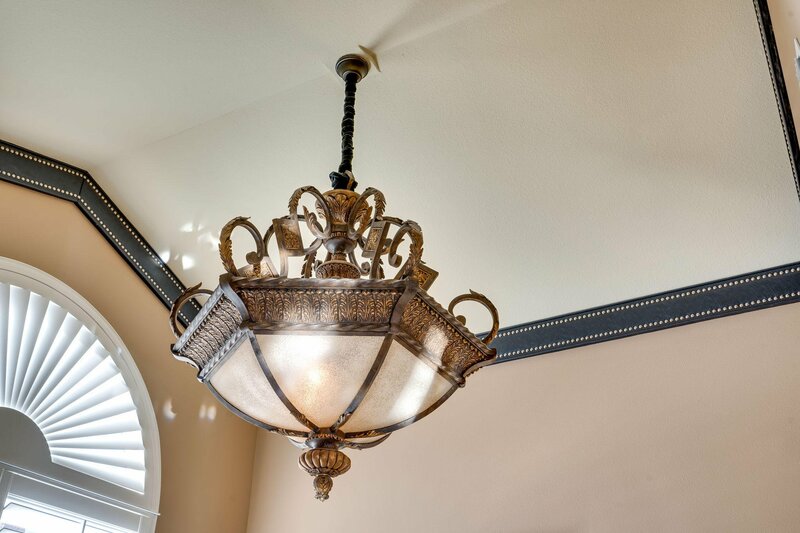 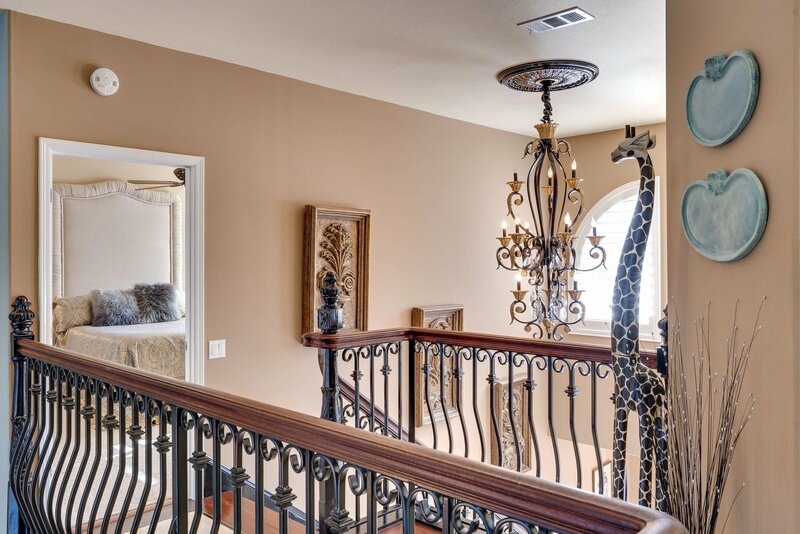 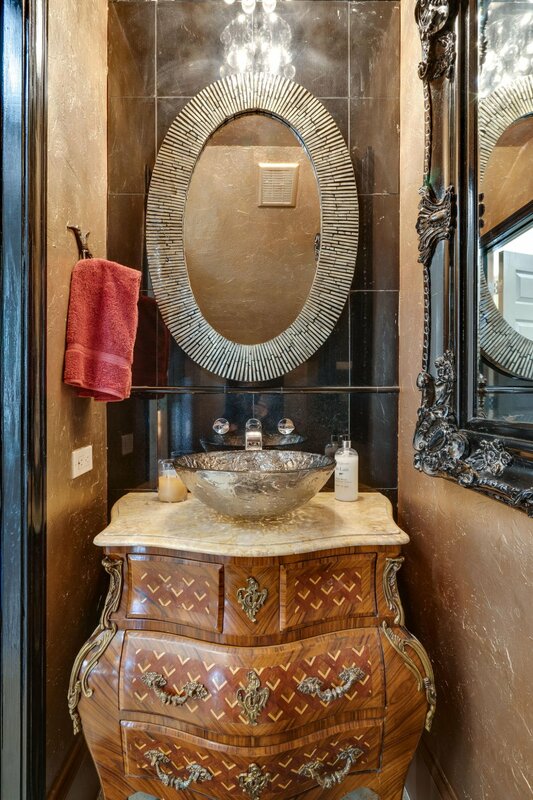 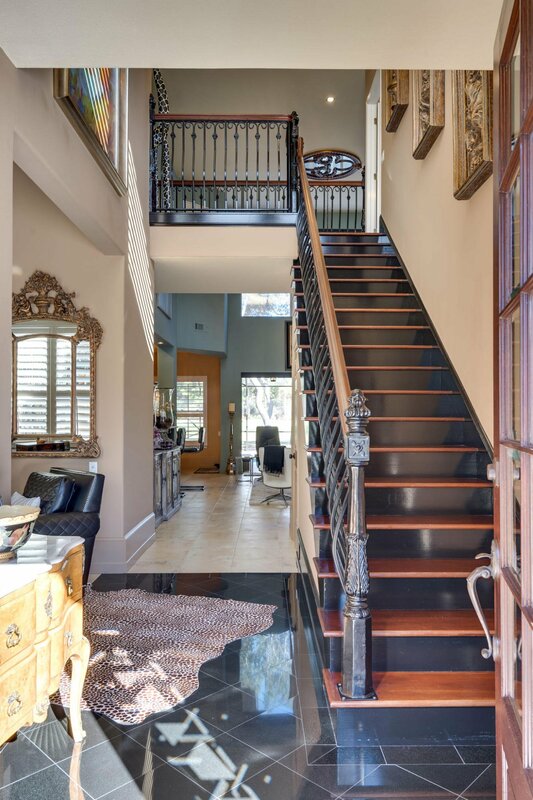 Stunning architecture and fixtures adorn the the interior of this well appointed home. 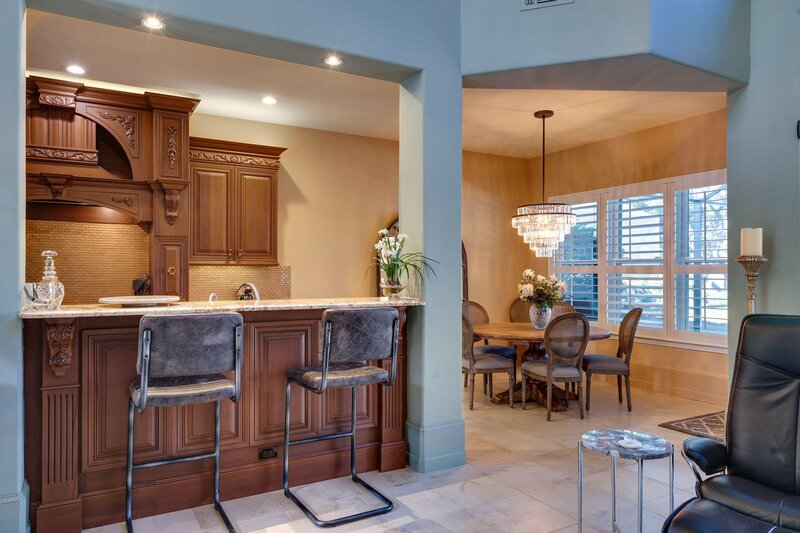 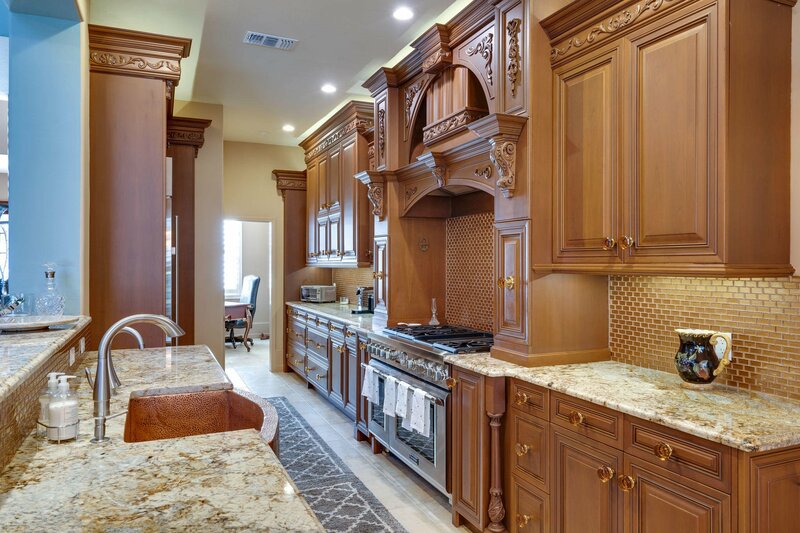 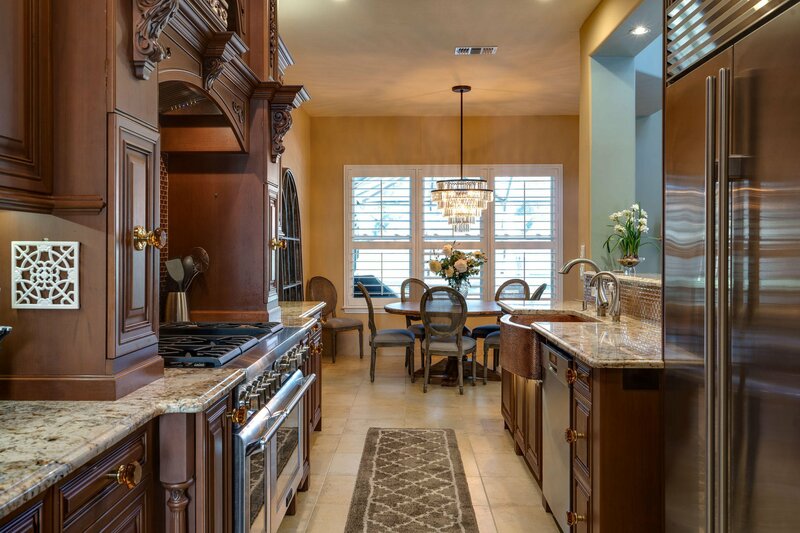 The kitchen is fully custom crafted with stunning granite counters and solid hardwood cabinetry, crafted in Canada, adorned with stacked crown molding, carved accents, doors, and trim in solid walnut. 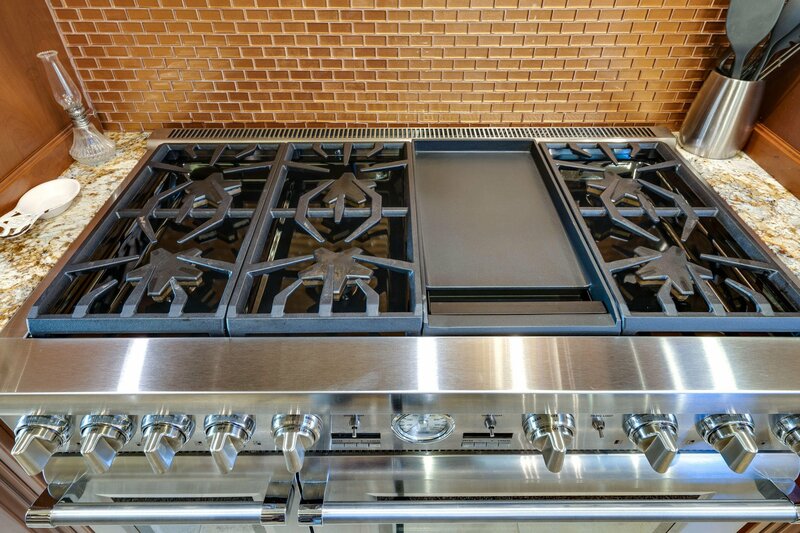 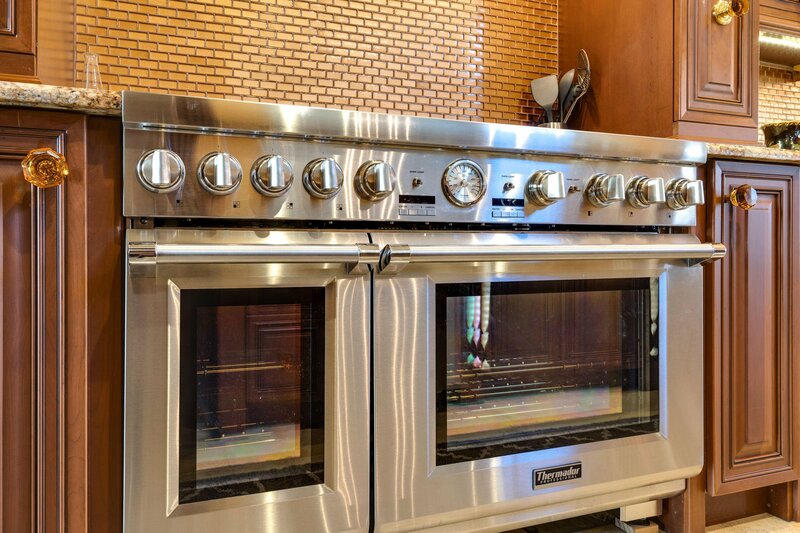 Equipped with the finest appliances for the most discerning chef in mind, enjoy preparing your favorite dishes using the 48 inch Dual Fuel Thermador Pro Series range with 6 burners, griddle, and grill, and double oven. 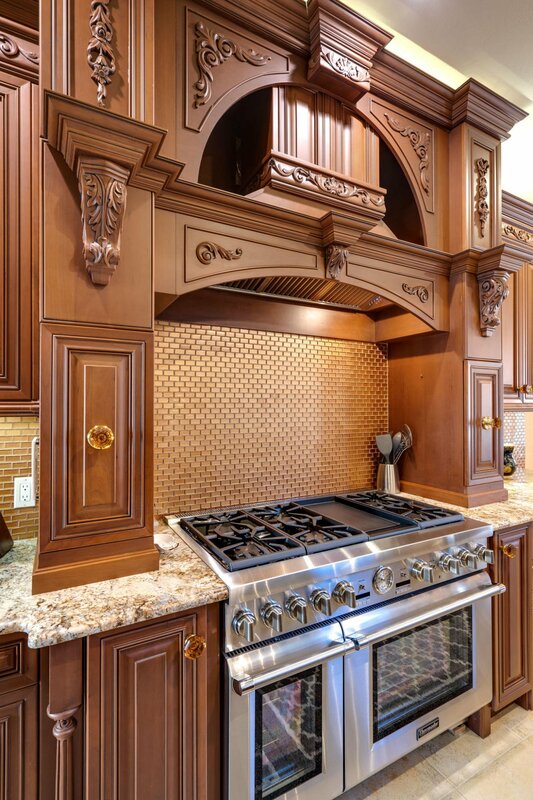 Also, a Built-In Sub Zero Stainless Steel Refrigerator. 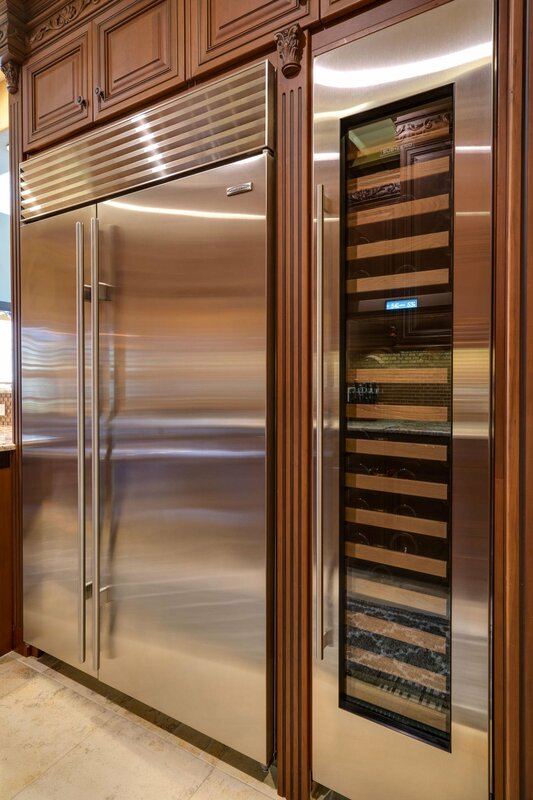 Select fine wines from the SubZero, full height, adjustable temp wine cooler, and let the stainless steel Bosch super-silent 39db dishwasher handle all of the clean up. 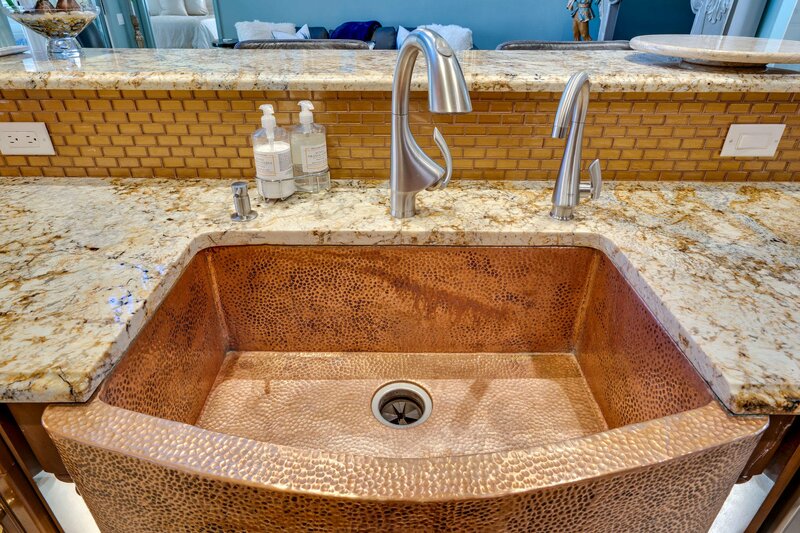 A hammered, copper farm sink with Grohe faucets features a reverse osmosis water filtration system for healthy, clear, clean water. 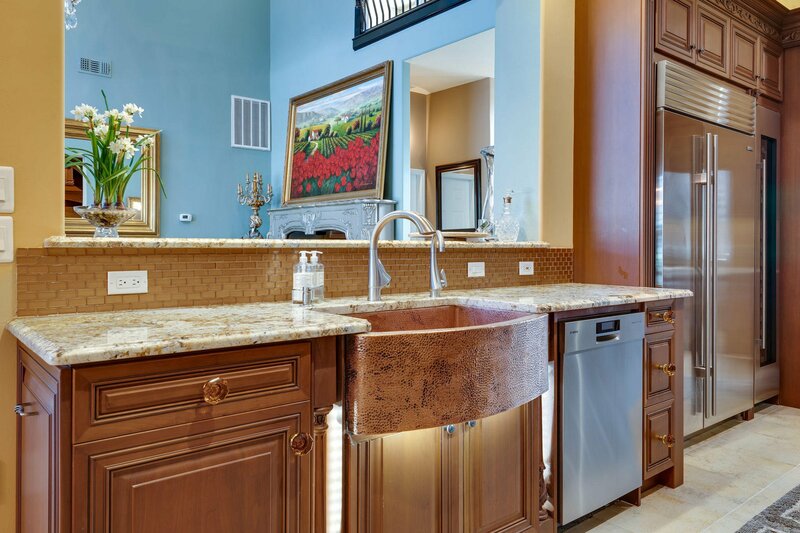 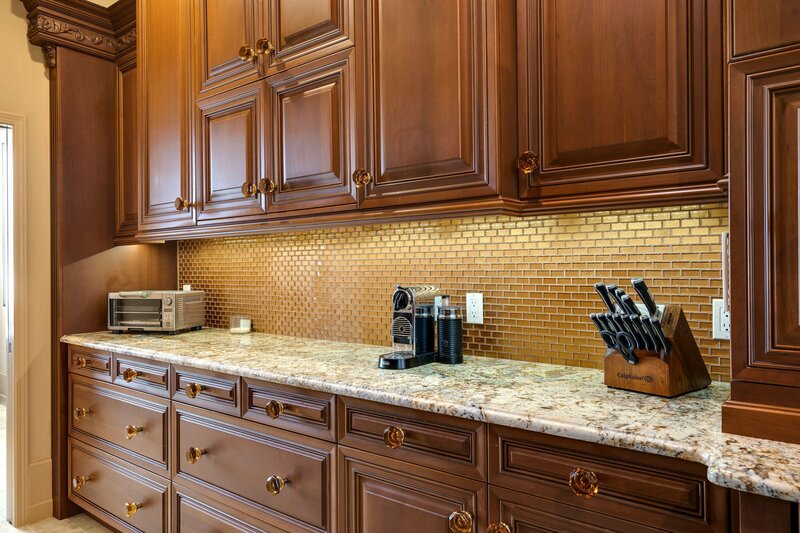 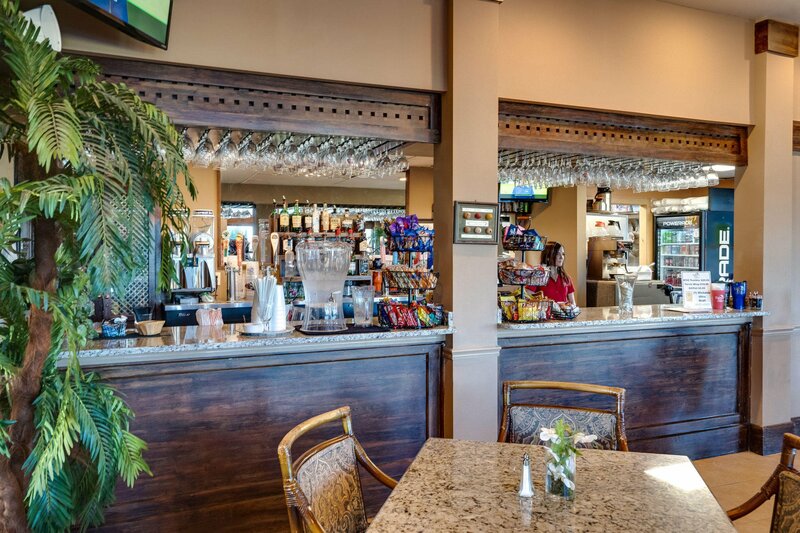 Guests can even experience the "Teatro Cucina", theater kitchen, at the granite counter window seating. 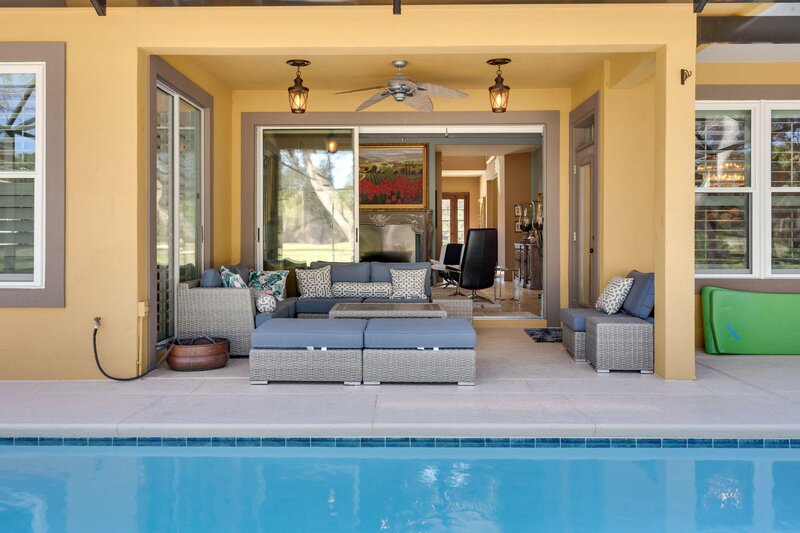 The dining area overlooks the pool patio. 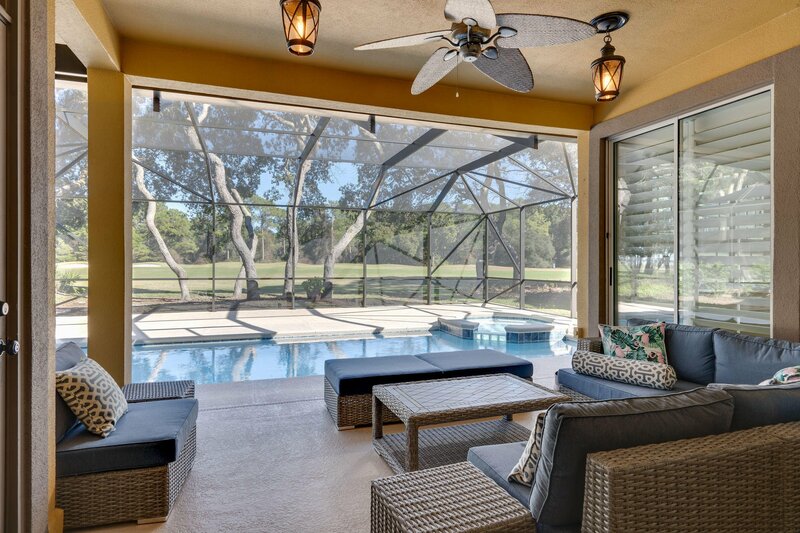 Remote controlled shades on the picture window and sliding glass doors create any lighting effect you wish in the main salon. 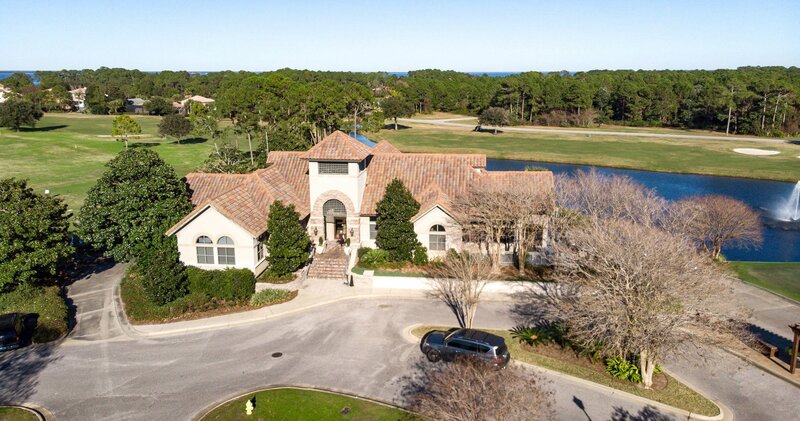 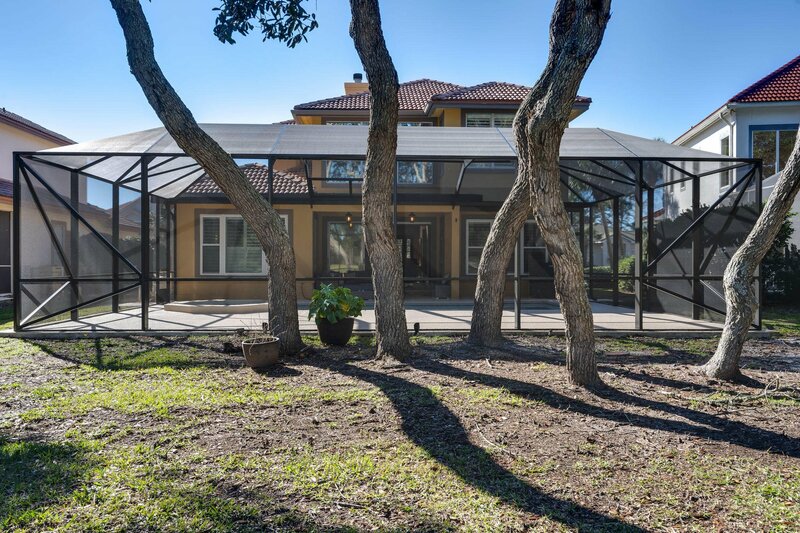 This immaculate home, with an open floor plan, has a view of the Choctawhatchee Bay from the pool patio and master bedroom which has separate outdoor access. 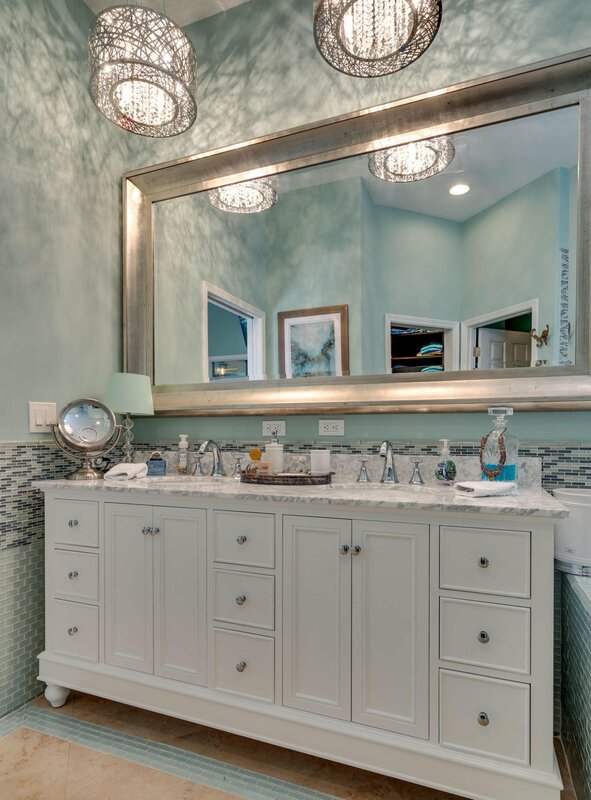 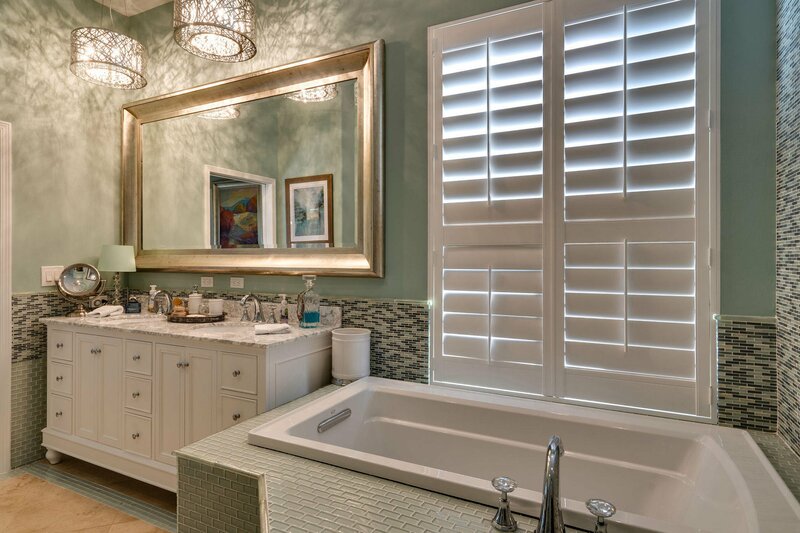 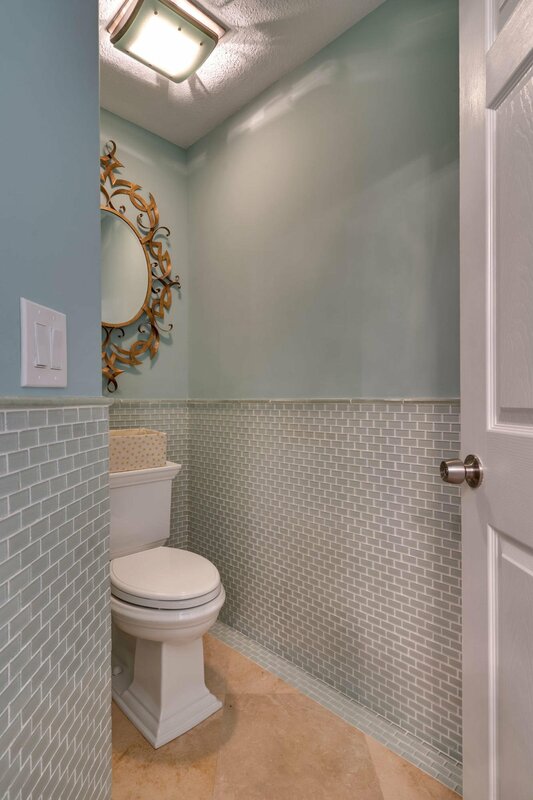 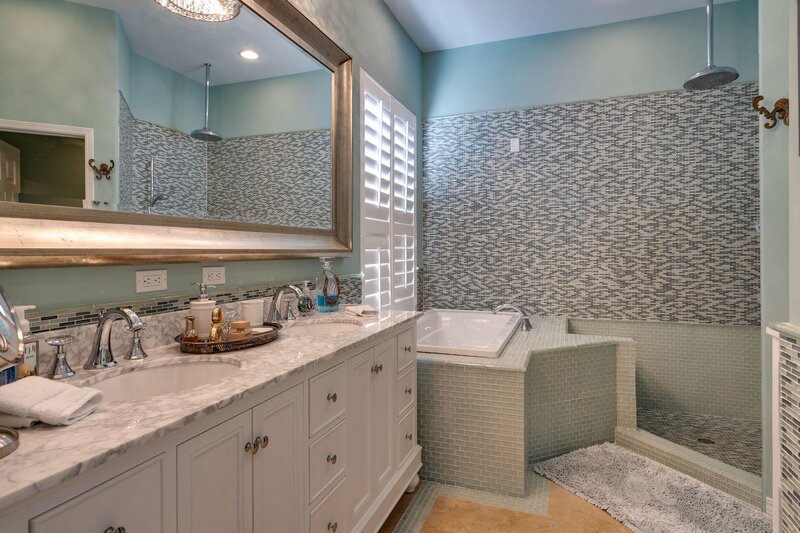 The master bath features travertine floors and glass tile in refreshing pastel colors. 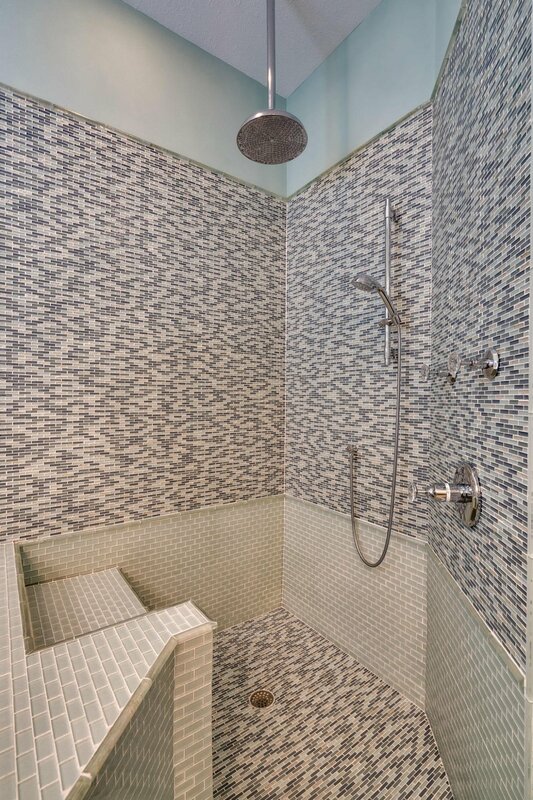 The open shower boasts Grohe faucets and fixtures with Swarovski crystal knobs, rainshower and hand wand create a stunning shower experience. 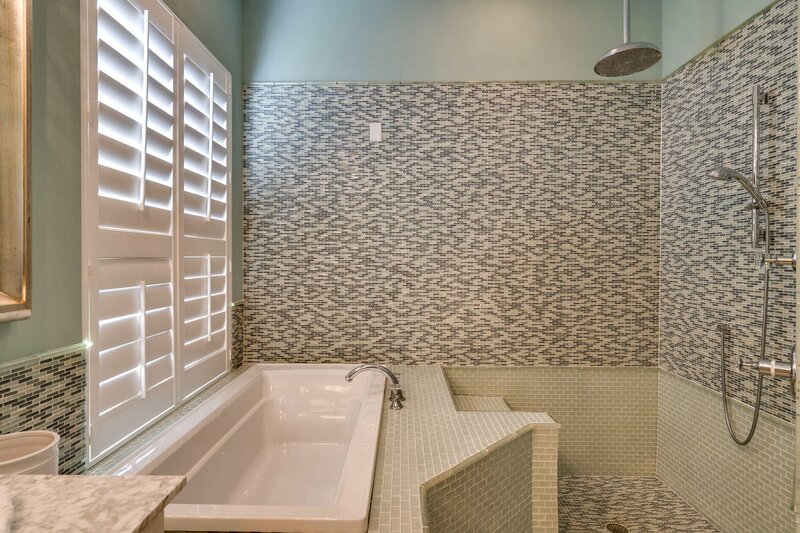 A separate garden tub is close by for long soaks. 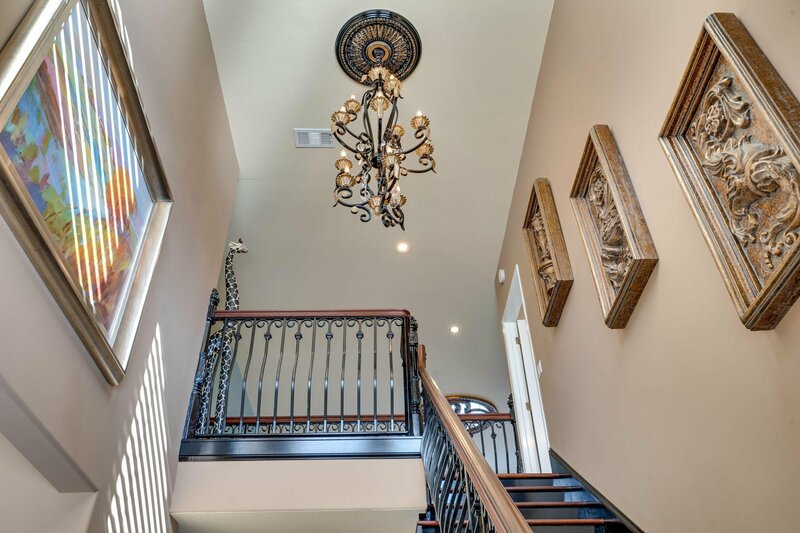 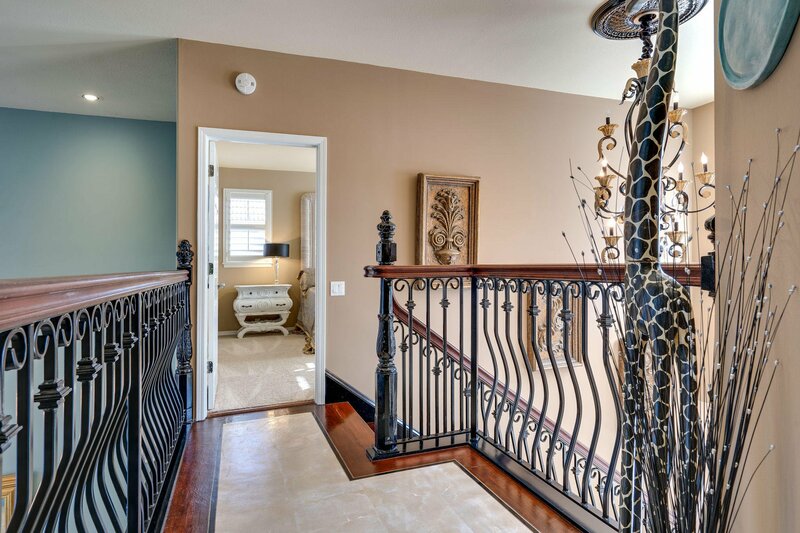 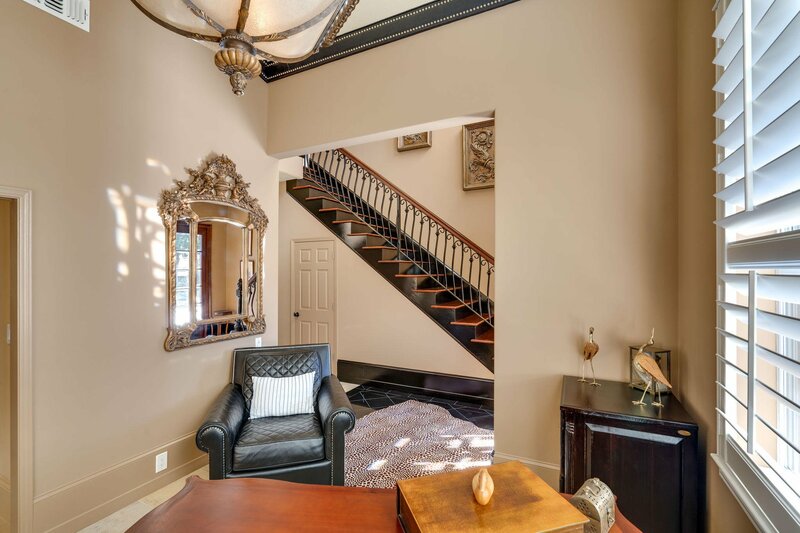 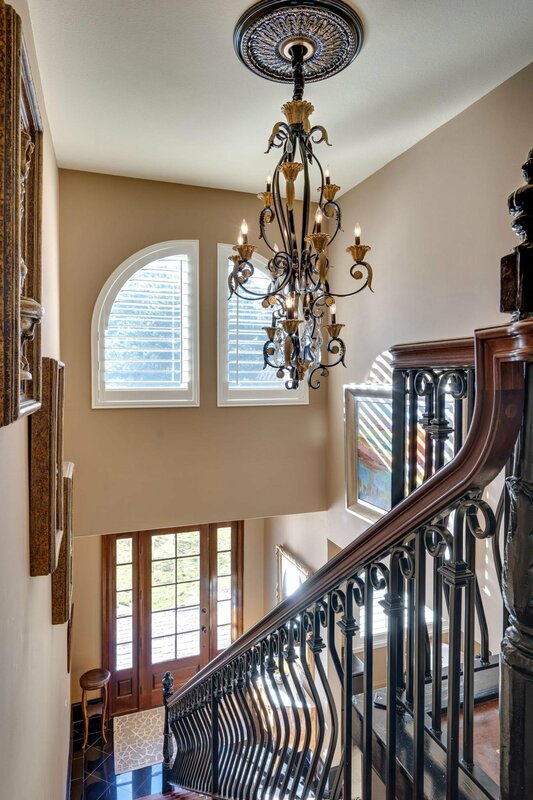 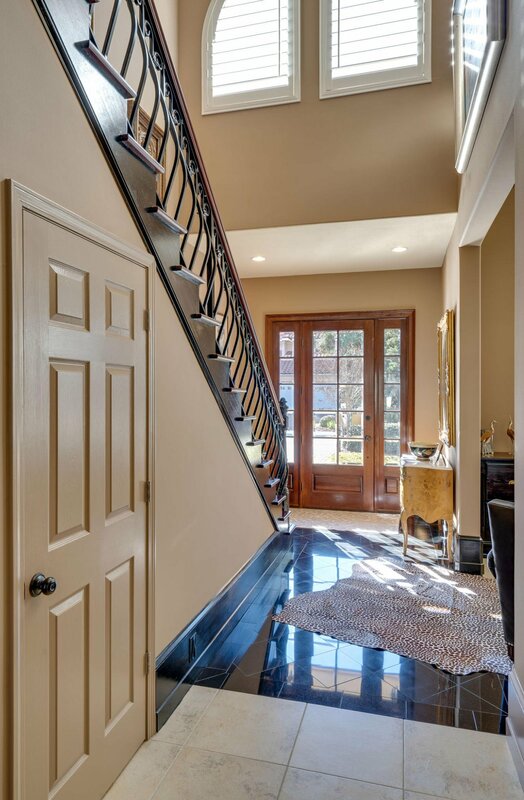 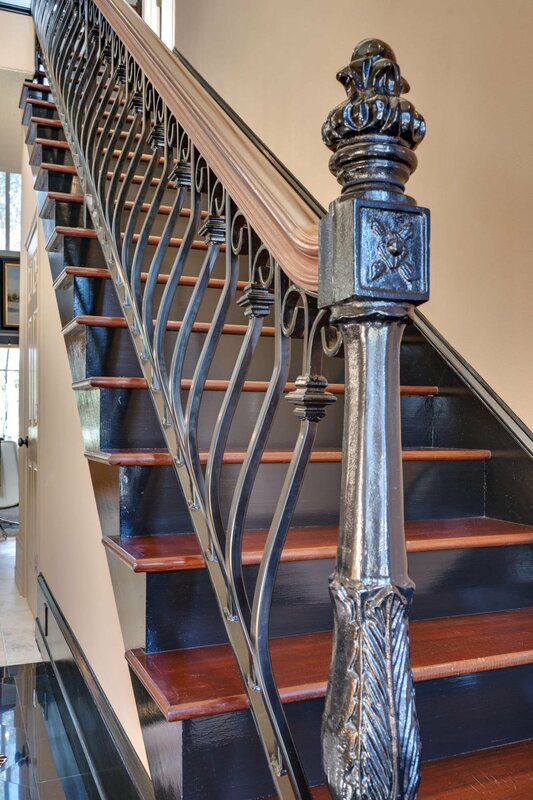 Moving up to the second level quarters features beautiful mahogany treads, handrails and gooseneck railings which overlook the main living room. 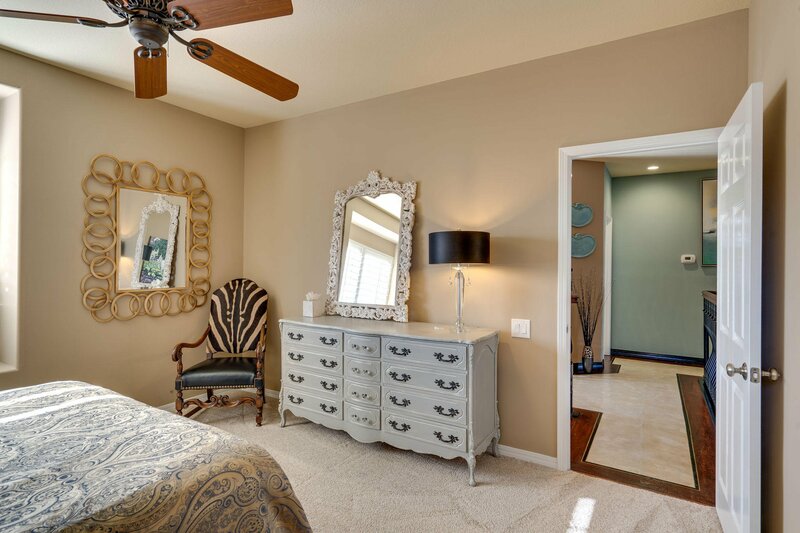 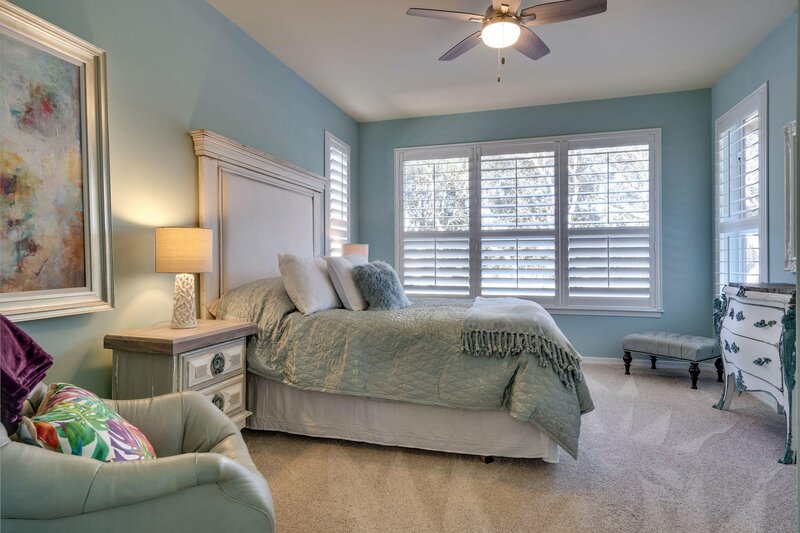 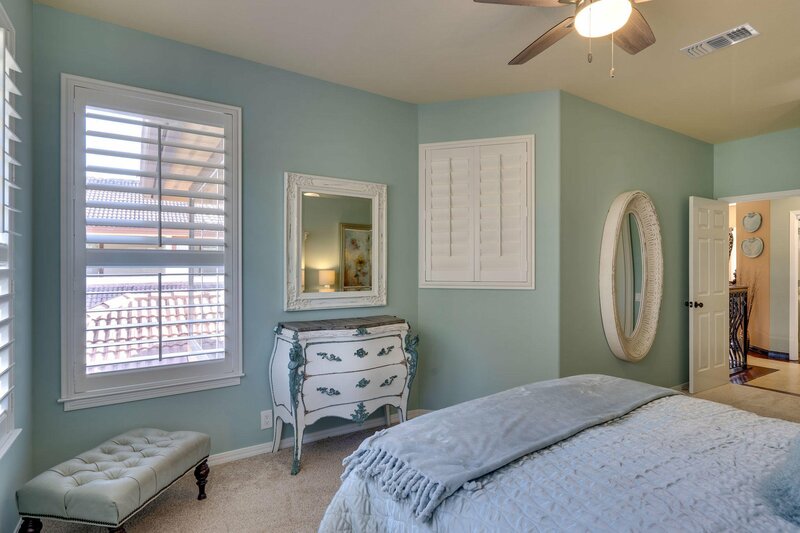 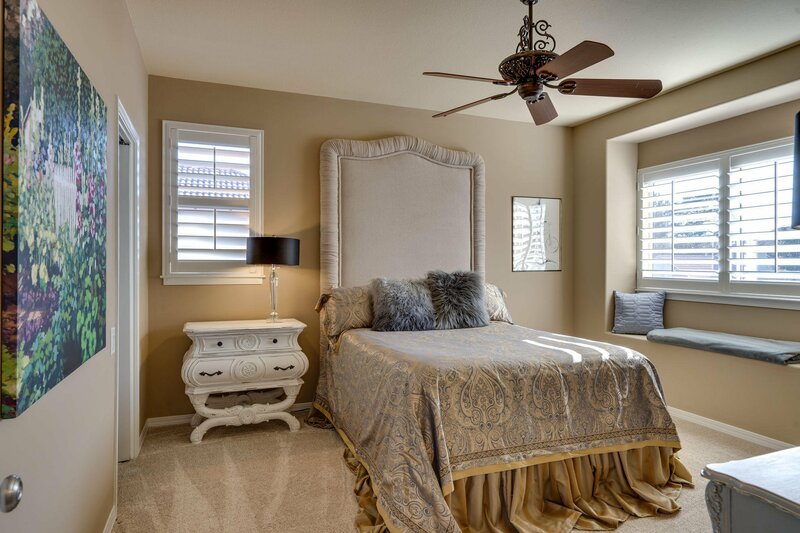 Two bedrooms and a guest bath give comfort and privacy to guests and family alike. 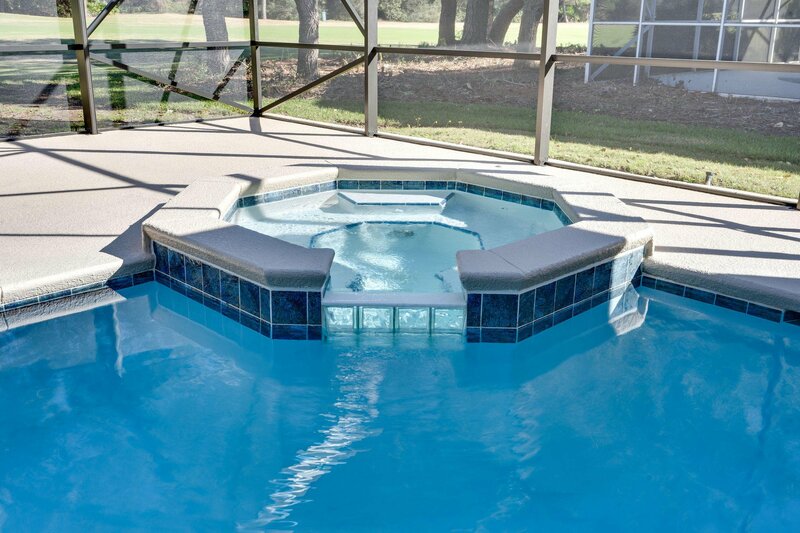 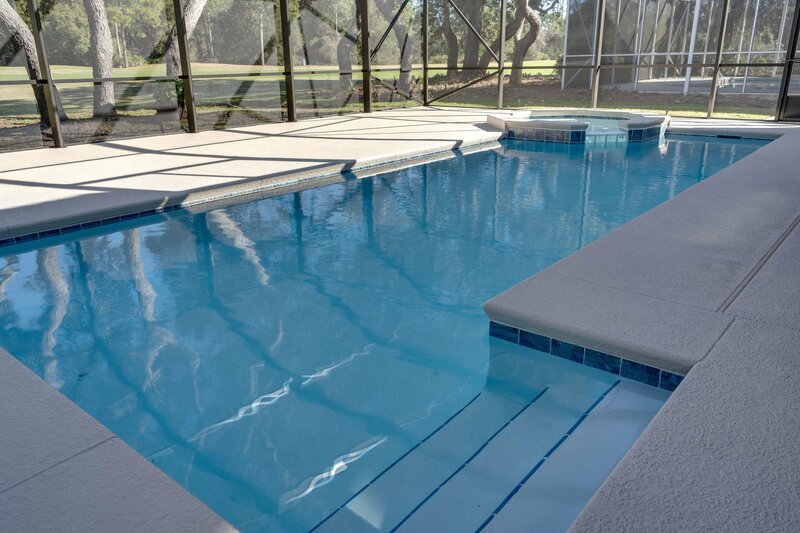 Enjoy relaxing evenings on the newly expanded screened patio while watching the shimmering waters of the newly resurfaced 30' X 11" pool and jacuzzi. 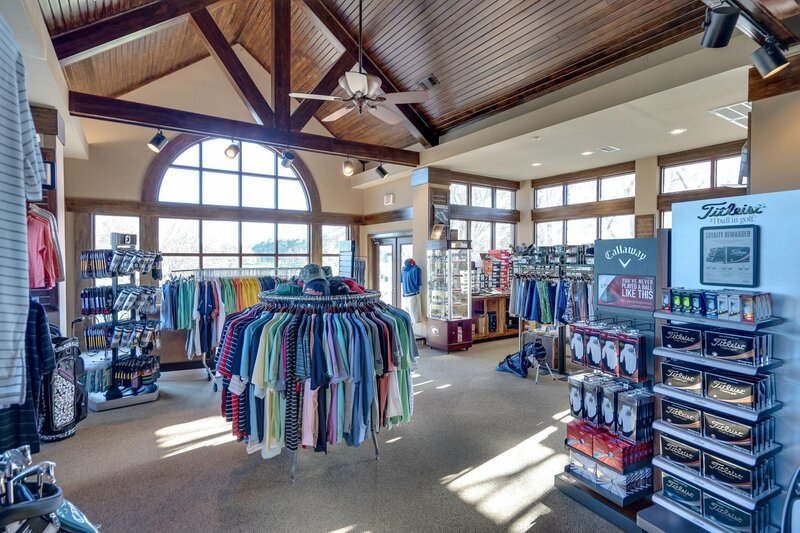 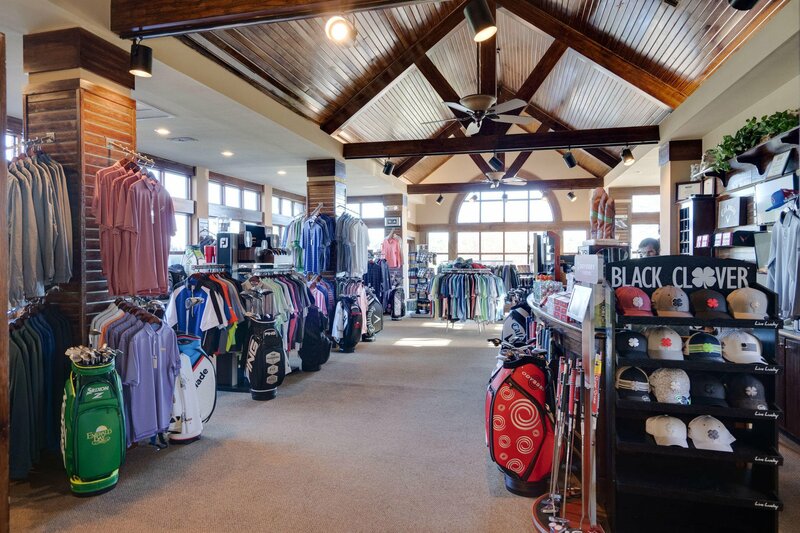 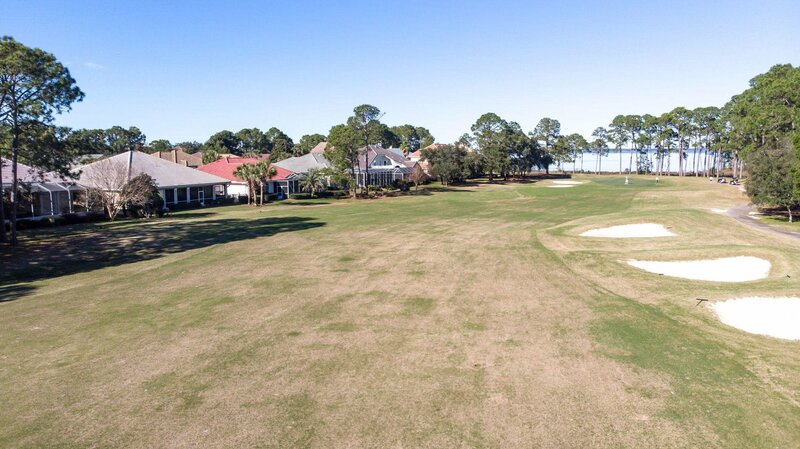 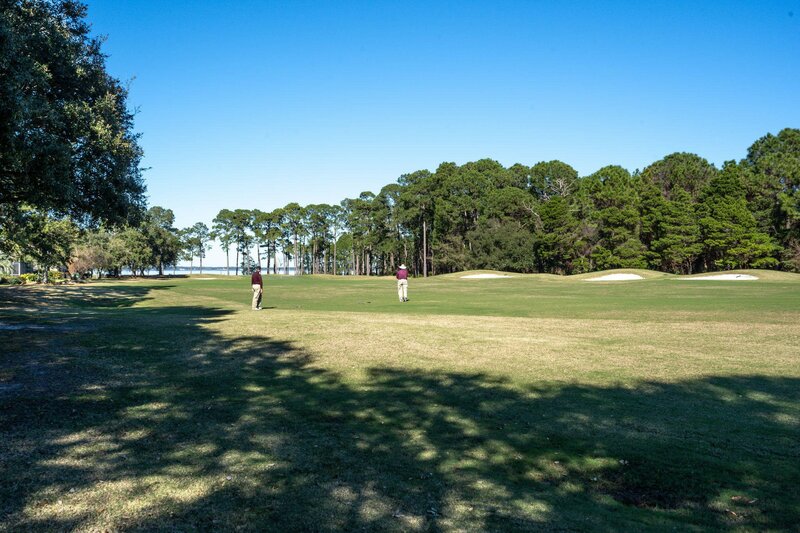 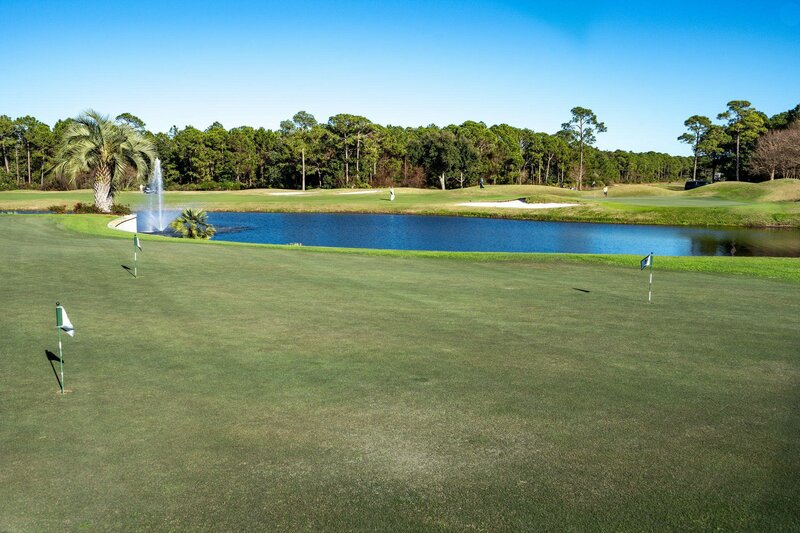 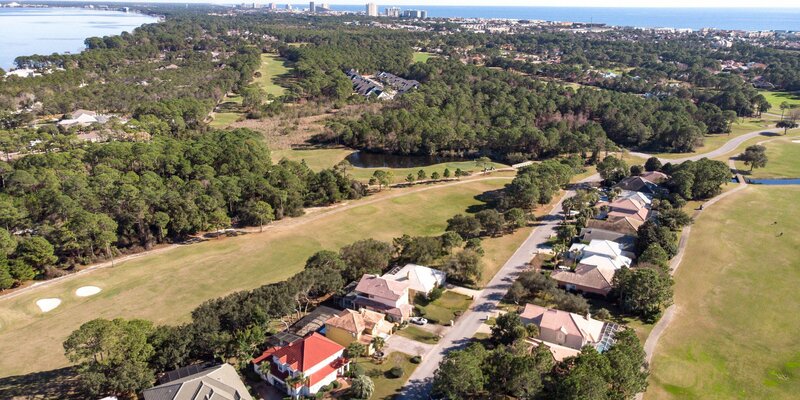 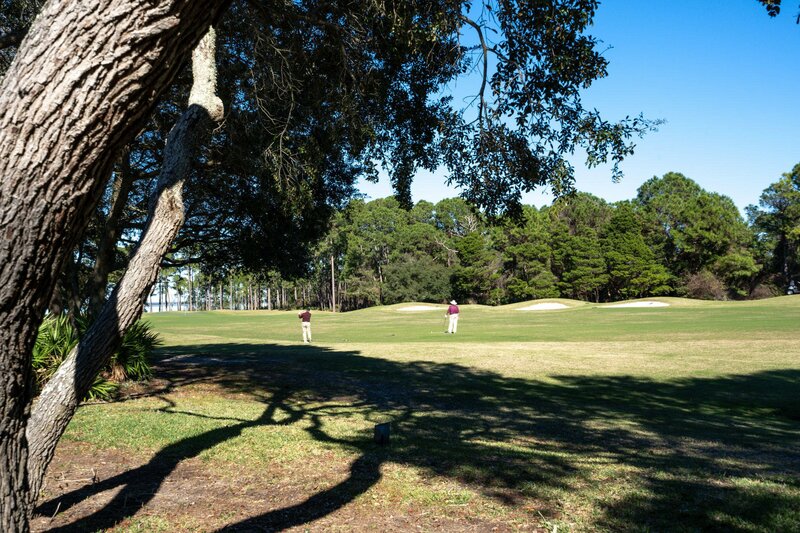 Gaze over the 15th fairway to lush green grass and natural surroundings. 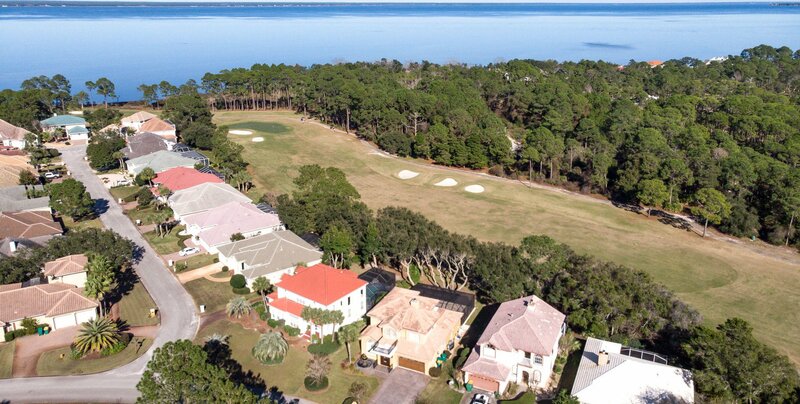 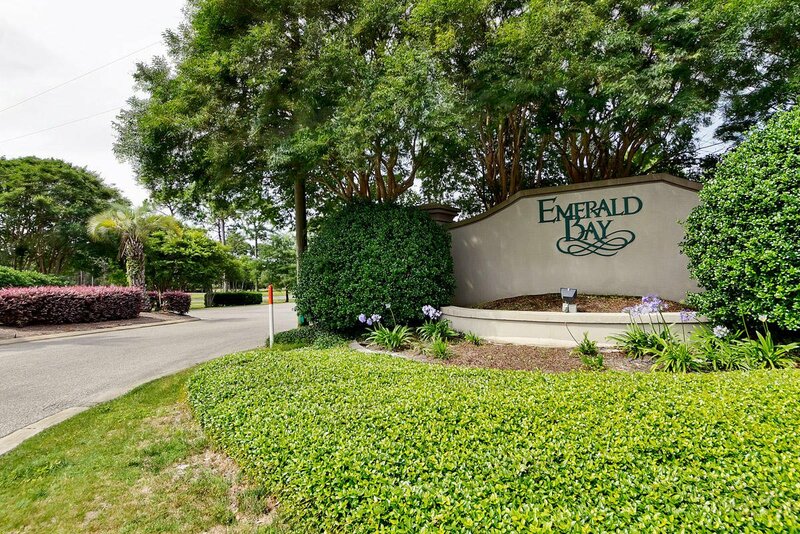 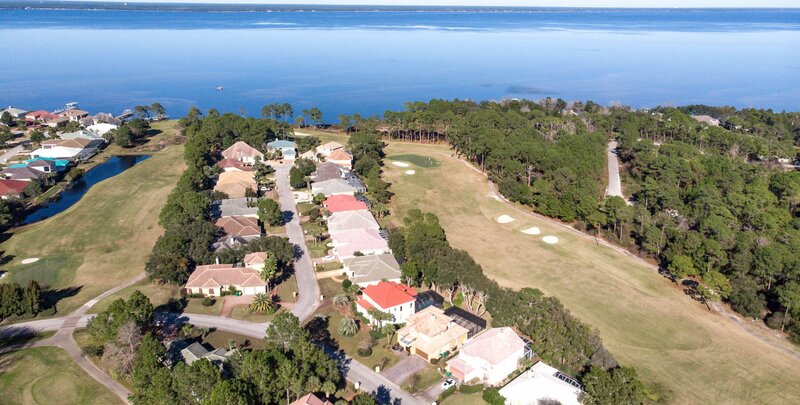 Quiet community living in Emerald Bay features a large community swimming pool, tennis courts and guest house. 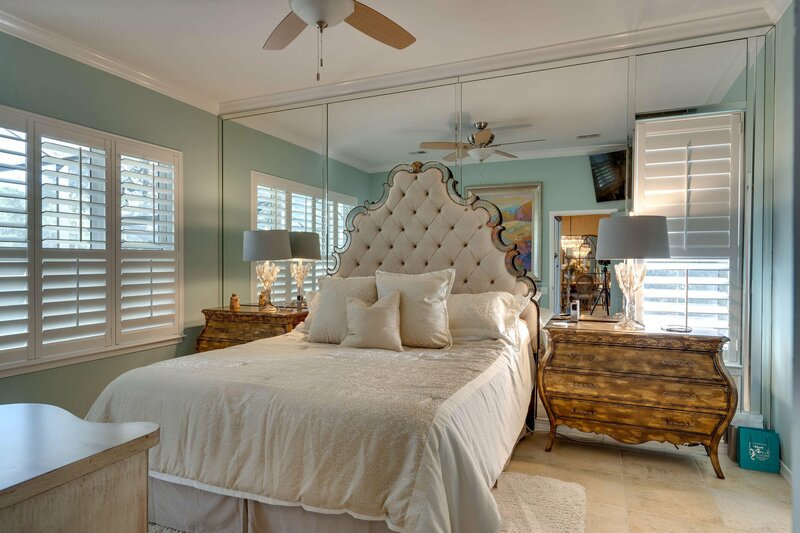 This guest house is the perfect answer to lodging when you need to keep your friends and family nearby. 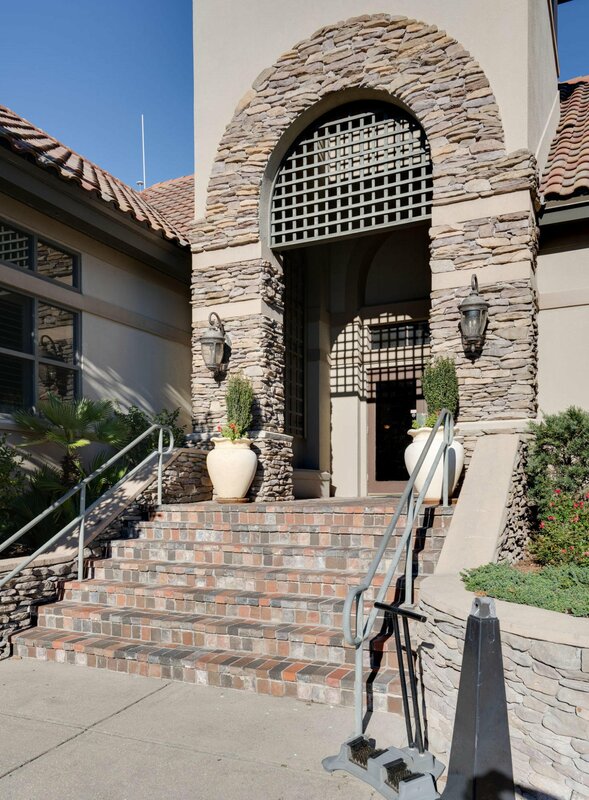 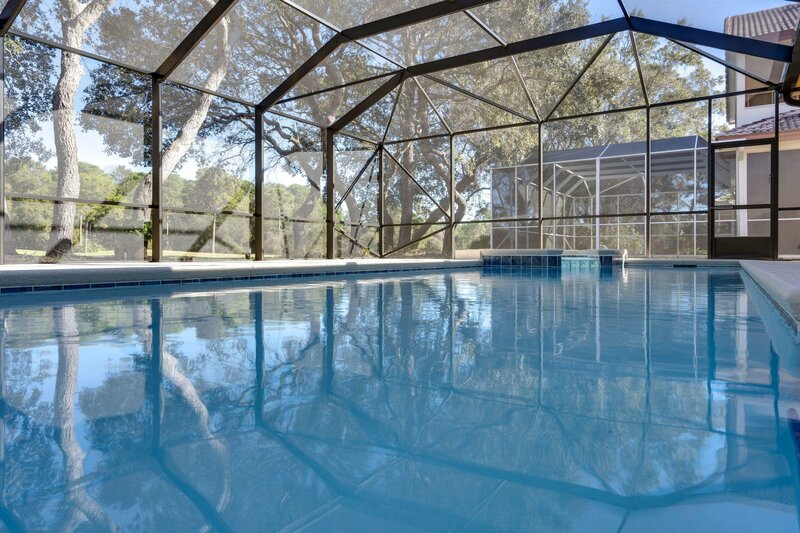 It contains 8 rooms with 16 beds, discounted golf rates, and the use of the pool and tennis courts. 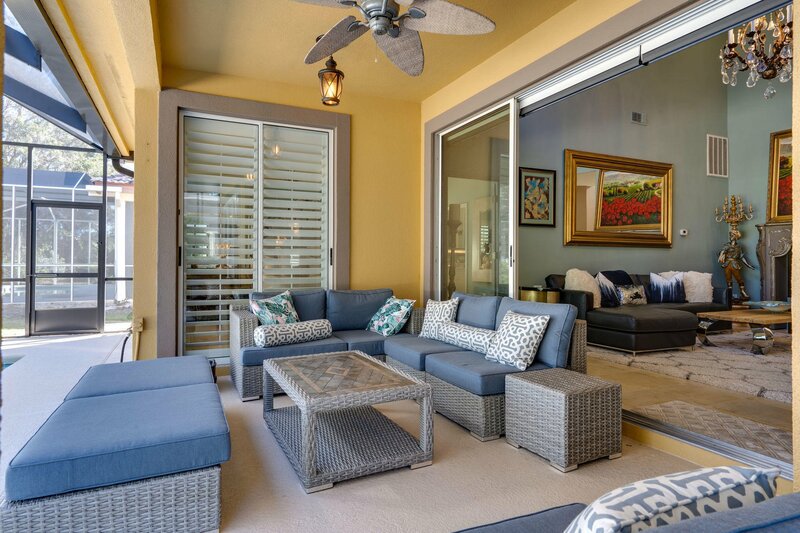 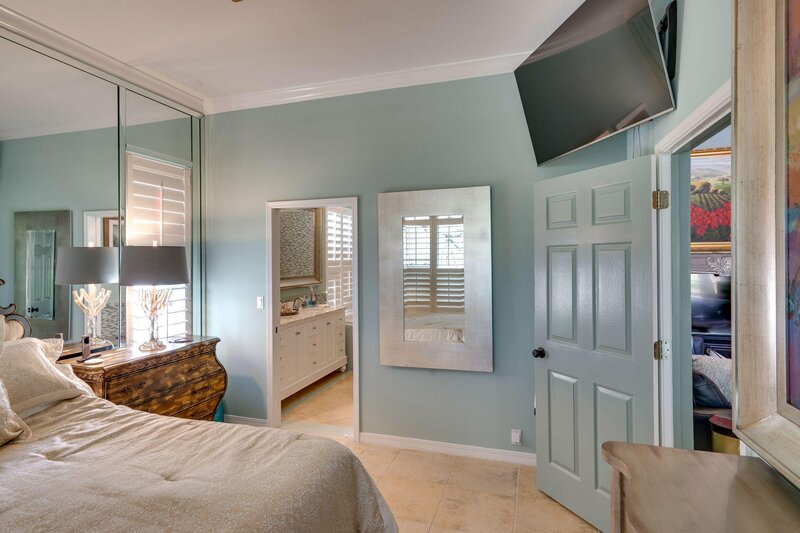 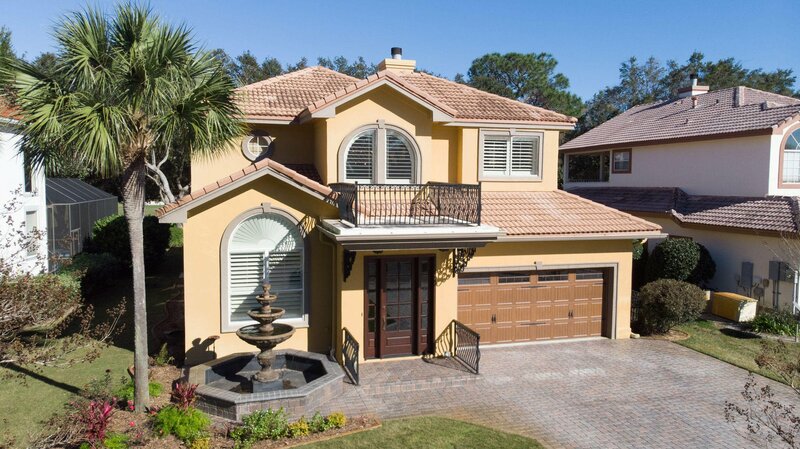 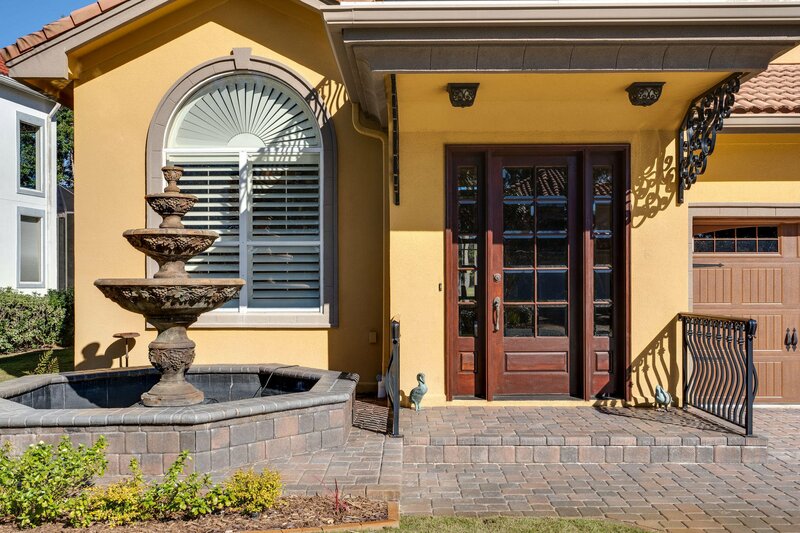 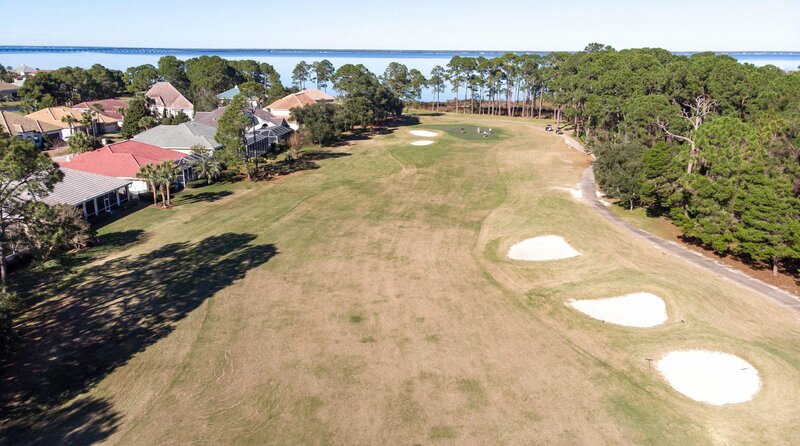 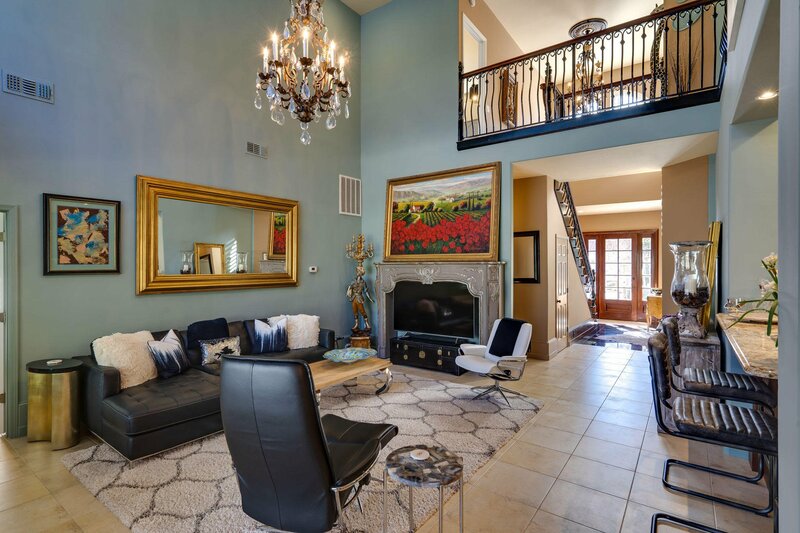 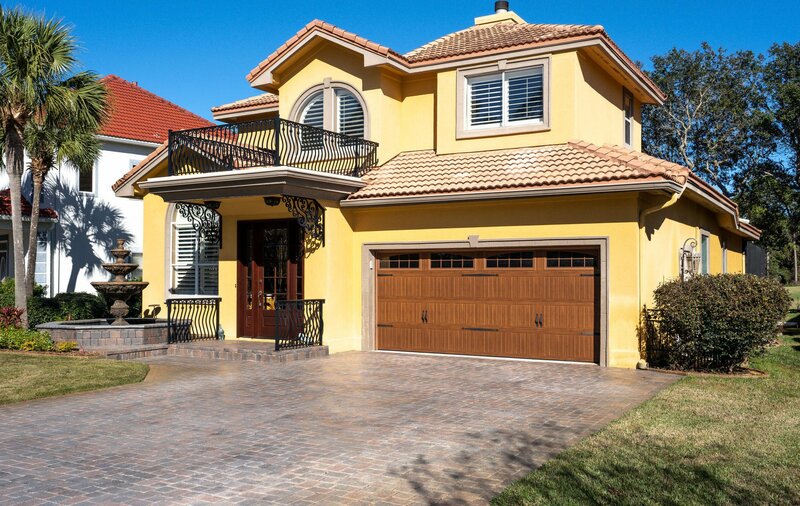 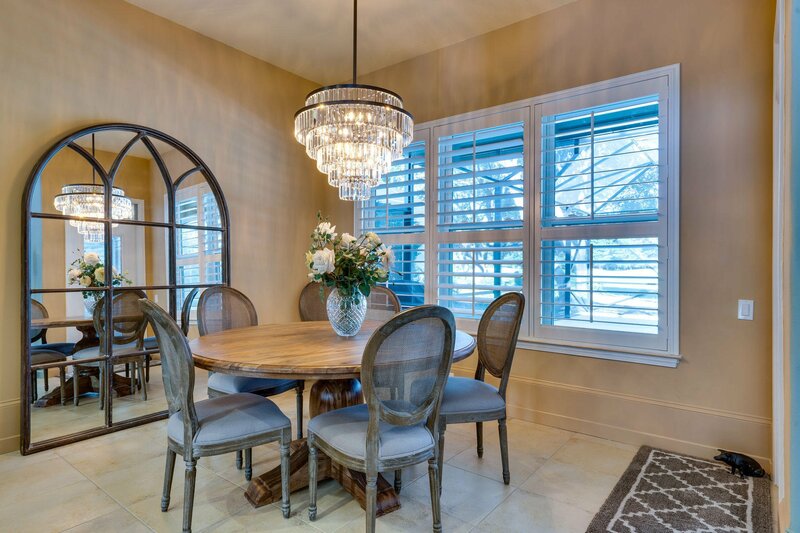 Centrally located between Destin and Sandestin, this home is a must see.